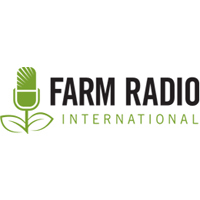 Farm Radio International (FRI) is a Canadian non-profit organization with a mission to support broadcasters in developing countries to strengthen small scale farming and rural communities. For detailed information please visit our web site; www.farmradio.org. FRI is inviting application for the positions of ICT Department Volunteer and Program Department Volunteer in Tanzania. The ICT Department Volunteer is responsible to support Farm Radio International’s (FRI) country office in Tanzania with all ICT related matters such as use of modern ICT approaches including online and mobile services. The Program Department volunteer will be responsible of supporting the implementation of different project in country. Both positions include regular traveling within Tanzania to support partners as well as projects as needed. Monitor project progress on regular basis and give suggestions to Projects Coordinator on timely manner for corrective actions. Preparing of monthly, quarterly and annual reports. Be responsible for monitoring and supervision of activities implemented in the project’s sites to ensure effective implementation. Responsible for managing project database and other M&E tools. Minimum 1 years of experience in implementing communication for development projects especially in the areas of: participatory radio campaigns, ICT for development, communication research for development, using radio for community mobilization and project cycle management is mandatory. A Bachelor degree in mass communication, journalism, agricultural communication, agricultural education, agricultural economics and extension or related field is required. Proven ability to develop and communicate a common vision among diverse partners and the ability to work with multi-disciplinary teams, as well as to develop a network of contacts among partner radio stations, government officials, and non-government staff if necessary. Excellent English communication skills, both written and oral, are required. o Flash/missed call 2Vote: Provide support to broadcasters in setting up the weekly beep-2-vote services. o Maintain the Beep-2-vote phones. Making sure the phones are working fine for the beep-2-vote services. Provide technical and training support to FRI project staff in Tanzania on ICT tools used by Farm Radio International for operational work. Working with the project staff to follow up with the CLG’s feedback. Following up with the broadcasters for weekly beep-2-vote services. Working and following up with the broadcasters to create jingles to promote the services. Periodic travel in Tanzania to the Radio Stations and in the fields. A Bachelor degree/Diploma in Computer science or Information Systems/Network Engineering or related field is required. Interested and qualified Tanzanians are invited to send their applications enclosing cover letter and detailed curriculum vitae with names of three referees, and their contacts to tanzania@farmradio.org. Kindly, do mention the position title in the subject line. Please note that Farm Radio International has no recruitment agent, therefore all applications should only be sent to the above mentioned addresses. Only shortlisted candidates will be contacted.